Ever wonder what drives all the disruptive technologies like smart phones, the cloud, the Internet, robots, and nano-technology? It all started in the mid-1940s with the development of the transistor at Bell Labs, and after about 1970, the transistor thing went viral. 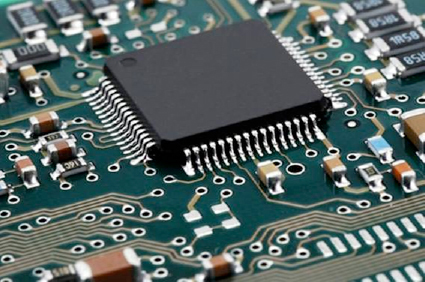 There followed all sorts of very dense printed circuit boards and “chips” containing hundreds of thousands of transistors—allowing serious miniaturization of all things electronic/digital. Telephones you can put in your pocket; computers you can easily carry around; smart appliances that can tell you they are not well; an Internet that runs 24/7/365 giving you unlimited shopping and worldwide communications; and now we are fusing the miniaturization of electronics and mechanical systems (mechatronics); when taken to the ultra-small we are creating nano-technology, a potentially unlimited way to change our material world. This folks is exponential growth, which experts believe will continue for another 20 years…maybe longer! Ponder what this means to the increasing computational and processing capability you can squeeze into hand-held devices and how 4G speeds can easily become 5G or 6G in short order. But Moore’s Law does not relate to other technologies. Someone once opined if the kind of advances applying to electronics also applied to cars, we would have a vehicle that got 1,000 miles to the gallon and cost about one-tenth of what it does today…..but that is not likely to happen. However, cars have gotten very much safer and efficient because of Moore’s Law and integration of computers into them (about 30 microprocessors in each car today). The fruits of Moore’s Law have become an enabler of great change, i.e. disruptive technologies. One might say we are in an age of “Electronification” of our world, with uber-miniature computers and super-tiny machines all on a common slab of silicon … remind you of the “Borg” on Star Trek? Who is responsible for starting this? About 133 years ago (1880) a fellow named Thomas Edison and his discovered Edison Effect, a phenomenon he stumbled across while trying to improve his light bulb filaments. Today we call his effect thermionic emission, where hot light bulb filaments spill out free electrons … electricity generated in a glass tube vacuum. Edison actually files the first electronic patent and uses his invention in his then budding electric utility system. Twenty plus years later, in the early 1900s, other inventors start using this discovery to create the first vacuum tubes-leading to radio; and forty years after that, transistors are born and put electronics on steroids. Now you know the whole story. This entry was posted in Inventions Edison Would Love and tagged Moore’s Law on December 30, 2013 by Edison Innovation Foundation. can know it. Thus that’s why this article is amazing.